The Beijing Auto Show is now in full swing, so we’re naturally seeing a whole bunch of models dedicated to the Chinese market. Models like the Audi Q5 L and Mercedes A-Class L, for example, have taken the main stage. Then there’s MG Motors which has brought its latest concept called the MG X-Motion. It’s an all-new model from MG, and it’s said to represent the brand’s “Emotional Dynamism” design philosophy. It’s set to be the largest model in MG’s portfolio assuming it goes into production and will also serve as a flagship model, assuming it goes into production, anyway. So, what is there to the MG X-Motion Concept? Keep reading to find out! It’s not uncommon for automobile auction events to trade low-mileage cars, both vintage/classic or of more recent production, but this year’s Classic Car Auctions sale at the Warwickshire Exhibition Center will probably go down in history for selling the lowest-mileage used vehicle. 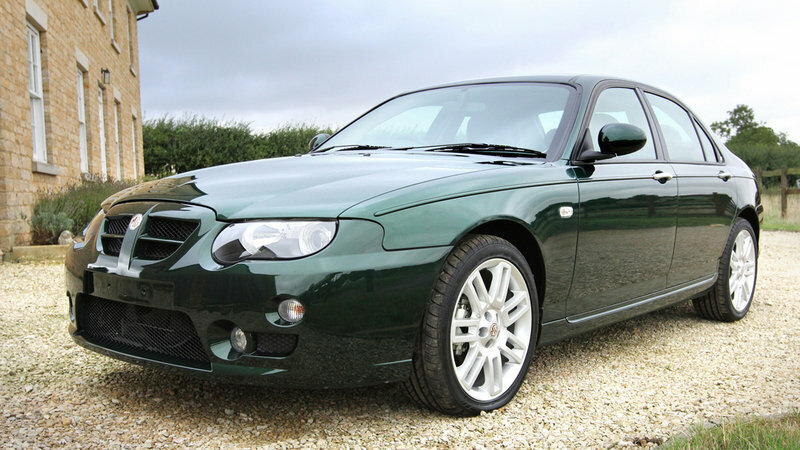 The car in question is a 2004-model-year MG ZT that has only three miles on the clock after its owner placed it into storage as soon as he bought it 11 years ago. Making the story that much more interesting is the fact that the MG ZT is by no means a valuable collectible. Introduced in 2001 as a development of the Rover 75, the ZT was produced only until 2005, when MG Rover went bankrupt and was purchased by Nanjing Automobile of China. Offered in both sedan and wagon body styles, it was the company’s then-largest model and was sold with a selection of four-cylinder engines, a V-6, a BMW-sourced diesel, and a V-8 borrowed from the Ford Mustang. The current owner purchased the car in 2005 from a dealer that was selling the ZF at half price and it was delivered to his farm just outside the Silverstone race track with only one mile on the odometer. After driving for just two miles along the driveway, he decided to put it into storage, keeping it in a heated garage, in a Carcoon and later in a Car Bag for all these years. Preserved beautifully and with only three miles on the clock, the owner believes that this is the best condition and lowest mileage MG Rover in the world. I think that it could actually be lowest used car in the world of any marques, but there’s no simple way of proving it. Classic Car Auctions estimated that the sedan will fetch between £8,500 and £10,500 (about $11,300 to $13,950) when it goes under the hammer on September 24, 2016. Needless to say, that’s not a lot for a car with just three miles on the odo, but a decent amount given that the car itself is far from being a collectible. The MG marque has been around for a very long time, first seeing use in the ‘20s. Throughout the course of its history, a variety of owners have come and gone, with the latest being the Shanghai-based SAIC Motor Corporation. And while most associate the brand with sports cars like the MGB, lately the automaker has focused on creating models that are a little more capable when it comes to padding the bottom line. In the U.K., that means hatchbacks (the MG 3) and sedans (the MG 6), and now, there’s a third body style coming down the pipeline – a compact crossover. 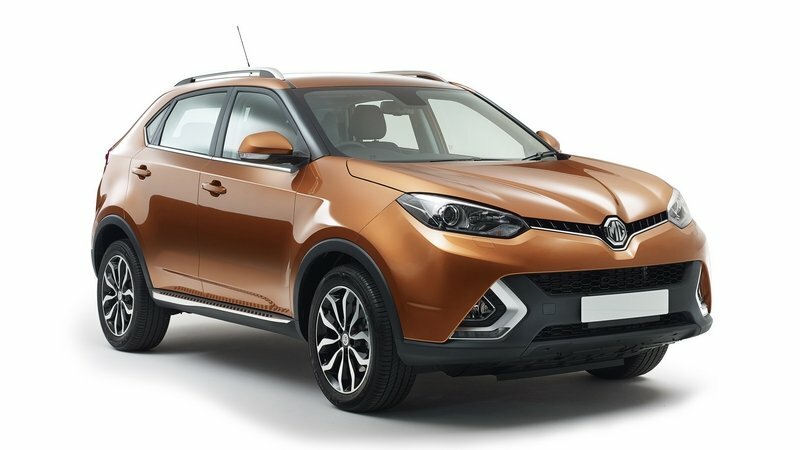 It’s called the MG GS, and although the brand is calling it new, it looks more or less unaltered from the MG GS currently sold in China. We first saw the MG GS in concept form at the 2013 Shanghai Auto Show. 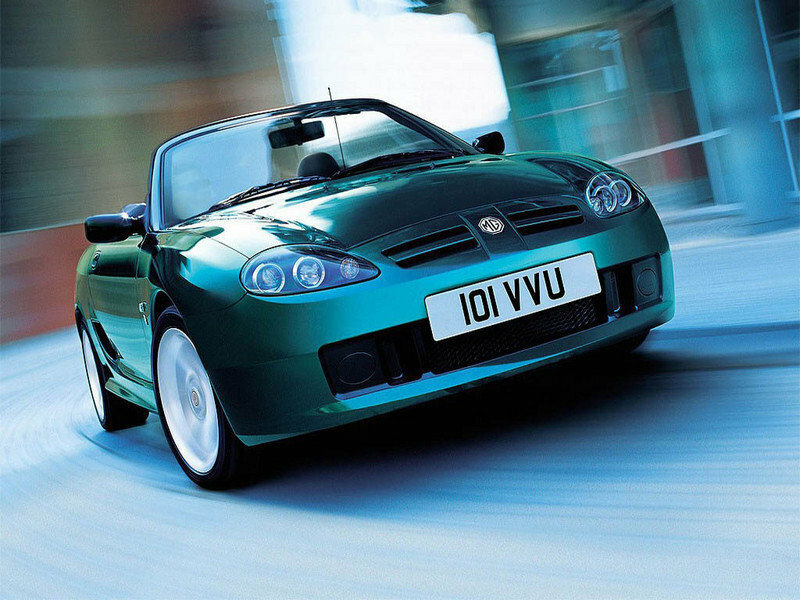 Back then, it was called the MG CS, and it showed a ton of promise, at least aesthetically speaking. Two years later, MG dropped a production variant at the very same show, consequently offering it as an exclusive product for the Chinese market. Now, it’s coming to the U.K., following a debut at the London Motor Show. In addition to a highly affordable price tag and the availability of a new double-clutch transmission, the automaker is proud to advertise the MG GS as its first-ever SUV, undoubtedly piggybacking off the trend set by high-end makes like Bentley and Jaguar. And while the market is certainly eager when it comes to crossovers, it’s questionable whether or not the MG GS will have what it takes in a segment already overflowing with competition. Official specs are scarce, but given the MG GS’ current availability in China, I feel confident about filling in the gaps. Read on for details. Continue reading to learn more about the MG GS. Jay Leno is never one to surprise us with anything — we’ve come to expect his crazy vehicular shenanigans. 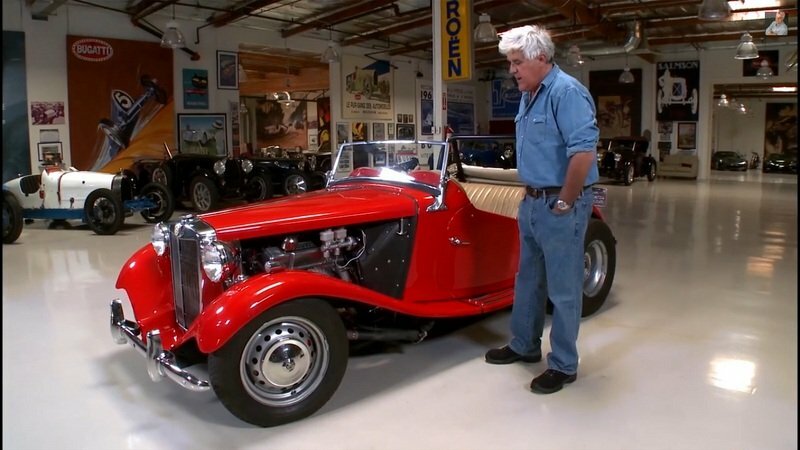 The car on Jay’s latest self-titled garage show is no different; it’s a 1952 MG TD with a 383 stroker Small Block Chevy crammed under its hood and massive rear tires spilling from under the fenders. Though the MG is now in Jay’s possession, it was built by a man named David Stenmark who found the car in a derelict condition in a small New England town. The year was 1970 and Stenmark paid a whopping $150 for the car. It had no engine, no transmission, and no hope of being an all-original restoration. After at least one V-8 engine swap, Stenmark settled on the stroked 350. It’s currently fitted with a mild cam and electronic fuel injection, and the last time it was on the dyno, it made 340 horsepower at the rear wheels. That gives the car an incredible power-to-weight ratio considering it weights some 1,800 pounds. The engine is backed by a three-speed B&M Hydro transmission that connects to a Chevrolet 12-bolt rear end with 3.73 gears and positraction. 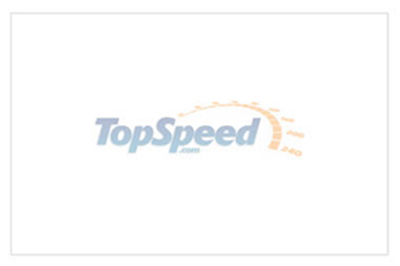 That’ll push the car to a proven 10.70-second quarter mile at 127 mph. Jay has kept the car in the same basic condition as when he got it, but finally decided to install updated brakes. The episode includes a large segment devoted to the creation and installation of custom Wilwood disc brakes up front. 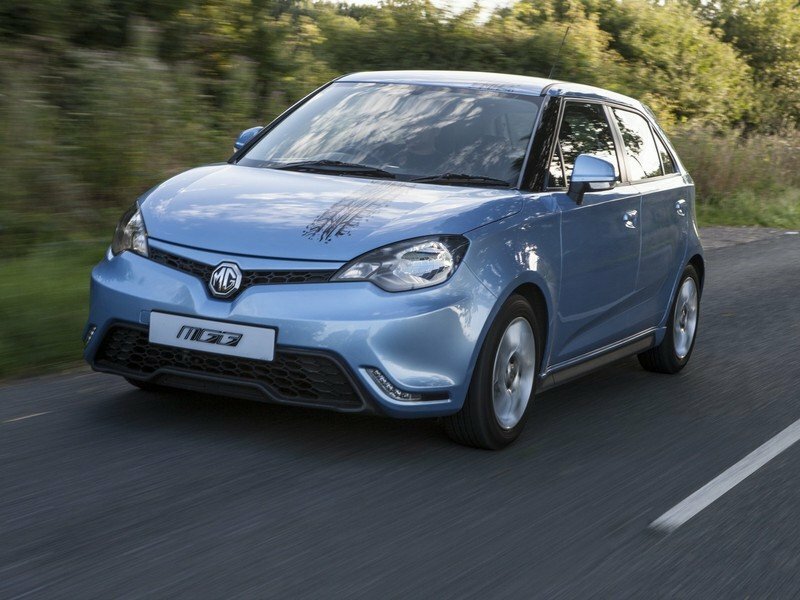 The MG3 nameplate was introduced in 2011, when SIAC, the current owner of the MG Motor brand, launched the five-door hatchback in China. The first-generation MG3, also known as the MG3 SW, replaced the Rover Streetwise and it can’t be purchased anywhere else but in China. Although the first-gen car is still in production, MG developed a second iteration to be sold in the United Kingdom as a low-cost vehicle. 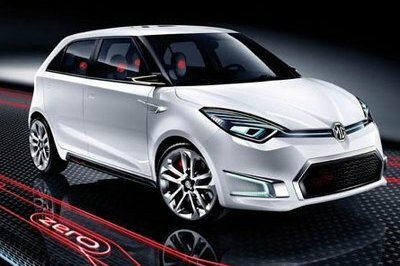 Previewed by the MG Zero Concept, the MG3 actually shares most of its design cues with the study shown at the 2010 Beijing Auto Show. Available only as a five-door hatchback with a front-mounted engine, front-wheel-drive configuration, the Euro-spec MG3 is aimed at successful vehicles such as the Ford Fiesta, Renault Clio, and the Volkswagen Polo. The British-built supermini is cheaper than most of its rivals, and although its affordable sticker brings many shortages along with it, the MG3 has a few tricks up its sleeve. Check out our review below to learn more about the pros and cons surrounding the MG3. Click past the jump to read more about the 2014 MG MG3. 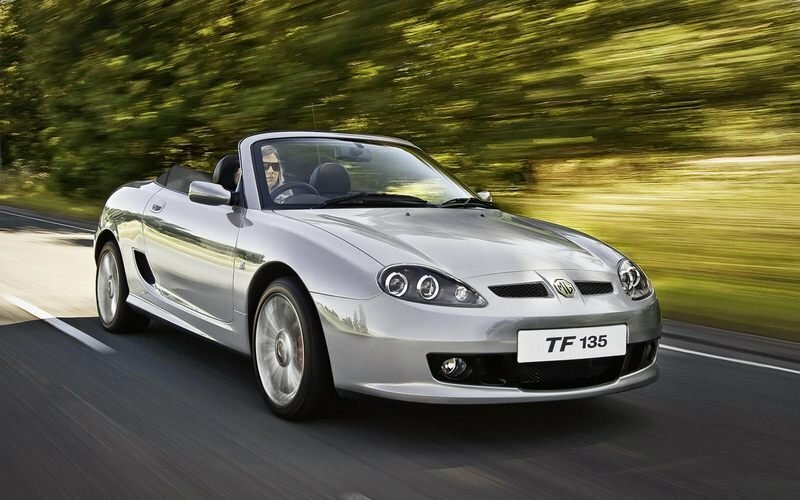 British automaker MG is planning to release a successor to the TF two-seat sports car. It won’t happen right away, possibly not even until the end of the decade, but company execs have already discussed the possibility of its return. 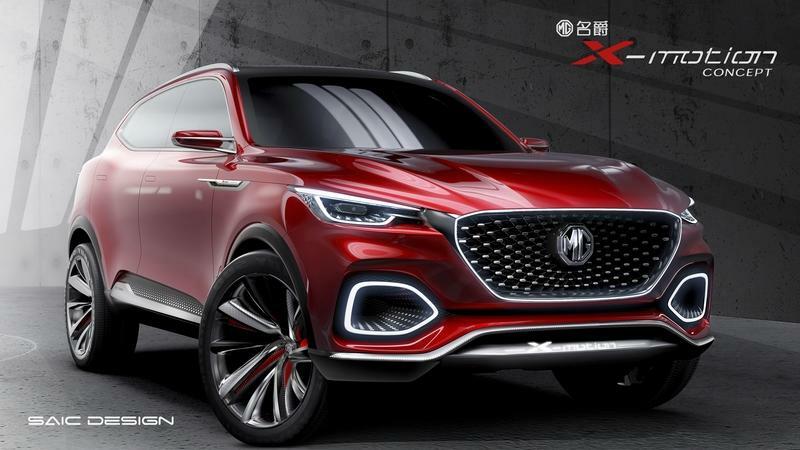 Auto Express is reporting that MG executives have not made any concrete plans on the TF’s successor, but did say that steps will be taken as soon as the company successfully transitions under its new owners, China’s SAIC. Fans of the TF will be happy about this development. We haven’t seen the TF since MG ended production of the sports roadster in 2011. If the estimated timeline is accurate, 2018 or 2019 are likely the safest bets that we see the TF’s successor make its arrival. That’s admittedly a long way from now, which is a little disappointing. For now, the company is focused on building a pair of new vehicle architectures that will be used on other models, including a CS Concept-based SUV and an MG5 that the company plans to put against the Ford Focus. At least one of those models is slated for a 2015 release. There’s clearly a lot of moving pieces going on within MG these days. Being under SAIC ownership has helped in that regard, allowing the British automaker to begin its return to relevancy. This talked-about two-seater sports car may still be years away from being launched. But the mere mention of serious discussions taking place has us hopeful of an automotive future that has MG in it. Click past the jump to read more about MG TF. MG needs our love, guys and gals. The British automaker deserves it and it’s on us to give it. With so many automakers having sports hatchbacks available, it’s easy to see why MG can get lost in the mix. 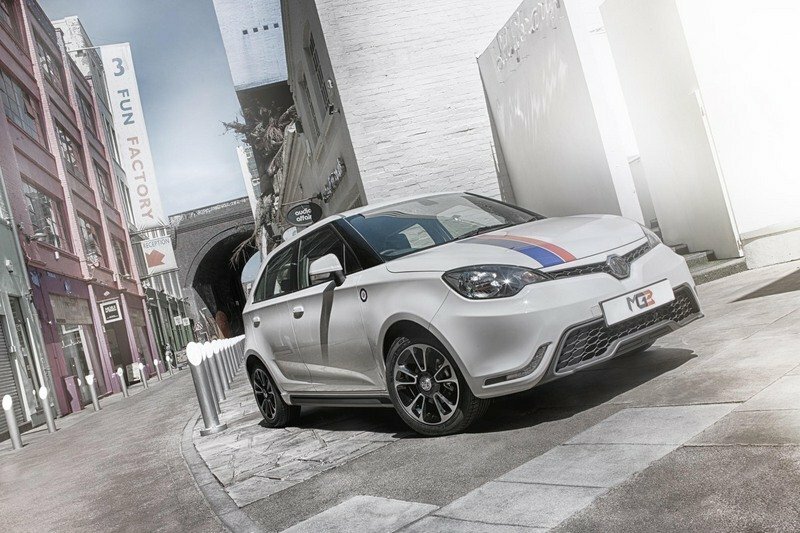 So it’s on us to give it some shine, especially when it releases a model like the MG3 Trophy Championship Concept that actually has some very nice qualities and over 100 horsepower more than the standard version. The model was introduced at the MG90, an event that celebrated the company’s 90th anniversary, that took place from June 20 through 24, 2014. Three concepts were launched during the event and one of them is the MG3 Trophy Championship Concept. It’s based on the current MG3 and was given a comprehensive aerodynamic and performance upgrade that has given the sports hatch a little more pop. It’s not going to blow your mind, but it could be appealing enough to get racing teams interested in the vehicle. That’s one of the objectives in launching the concept and for the sake of MG, we’re hoping that interest is high on this modified bad-boy. 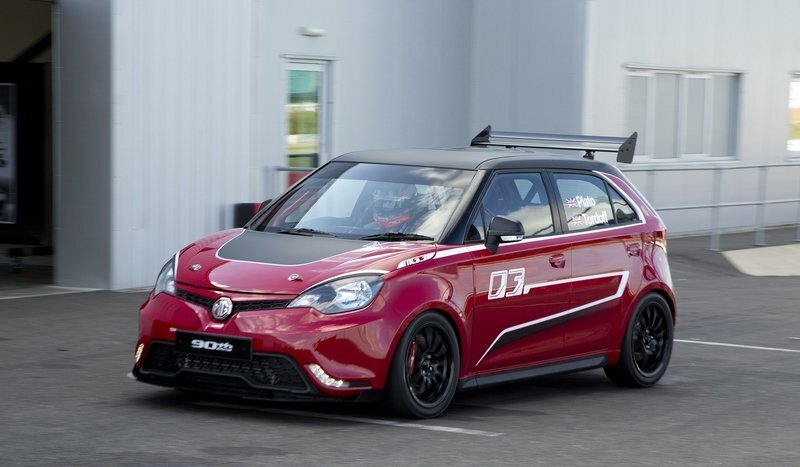 Click past the jump to read more about the 2014 MG MG3 Trophy Championship Concept. Dutch model and Sports Illustrated alum Valerie Van Der Graaf is fast becoming one of the most sought-after models in the world. Her skyrocketing popularity has even led to her being nicknamed the "Dutch Kate Upton," an appropriate tag given what her face and body look like. But what not a lot of people know is that Van Der Graaf is equally adept posing on the beach as she is in front of a classic, top-down MG B. Not everybody has the ability to pull this off, but the "Dutch Kate Upton" looks like she can flaunt and flirt effortlessly with the British sports car. This is the kind of photo spread that gets the attention of a lot of folks. A hot and beautiful woman posing with one of the original classic Roadsters . That’s the perfect recipe to cause a lot of men to make googly eyes at these photos. At the 2013 Shanghai Motor Show, MG unveiled the CS Concept car, which according to the first details, could make it to production as a competitor for models like Nissan Qashqai. 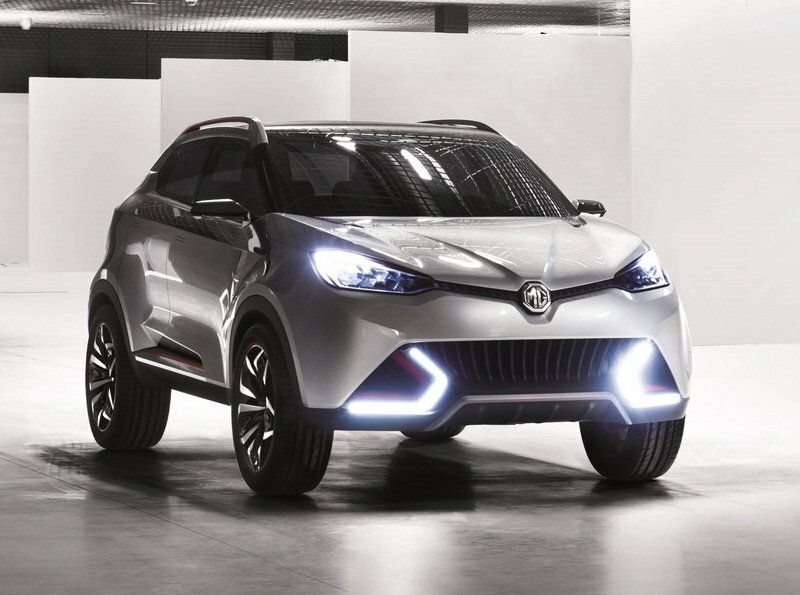 Also, in 2017, MG plans to unveil a second crossover based on the MG Icon concept that is set to take on models like Nissan Juke. But, alongside the new production version of the CS, MG Motors also plans to unveil a new sports car, but not in the next five years. Until the new sports car - most likely the long rumored MG Roadster - arrives on the market, the company needs to develop a range of volume products that will help it boost sales. The new sports roadster will be offered as an iconic model and will be offered to confirm "MG’s reputation as a maker of small and affordable sports cars. We have global ambitions built around mainstream products, which is why the sports car must come when the time is right." British manufacturer MG hasn’t put anything on the market for quite some time now, but it looks like the company is preparing a big comeback. The company will unveil the CS Concept later this month at the 2013 Shanghai Motor Show. The concept is designed to slot into the compact SUV sector and will likely see production at some point. The concept has been specially designed to attract younger buyers, so it features a distinctive, sporty style and youthful appearance, but in the same time it can be immediately recognized as an MG model. The concept received newly designed headlights with a multi-faceted ‘shard’ structure which refract light in different colors and shapes from the side. Still, it is pretty easy to recognize the new CS concept, thanks to the iconic MG’s trademark octagon from the front. Full details on the new MG CS Concept will be unveiled during its official debut in Shanghai. Update 4/20/2013: MG has released three new images of the upcoming MG CS Concept, but they don’t reveal anything new except that they are far more realistic than the sketches we saw earlier. You can see these images in the Gallery. 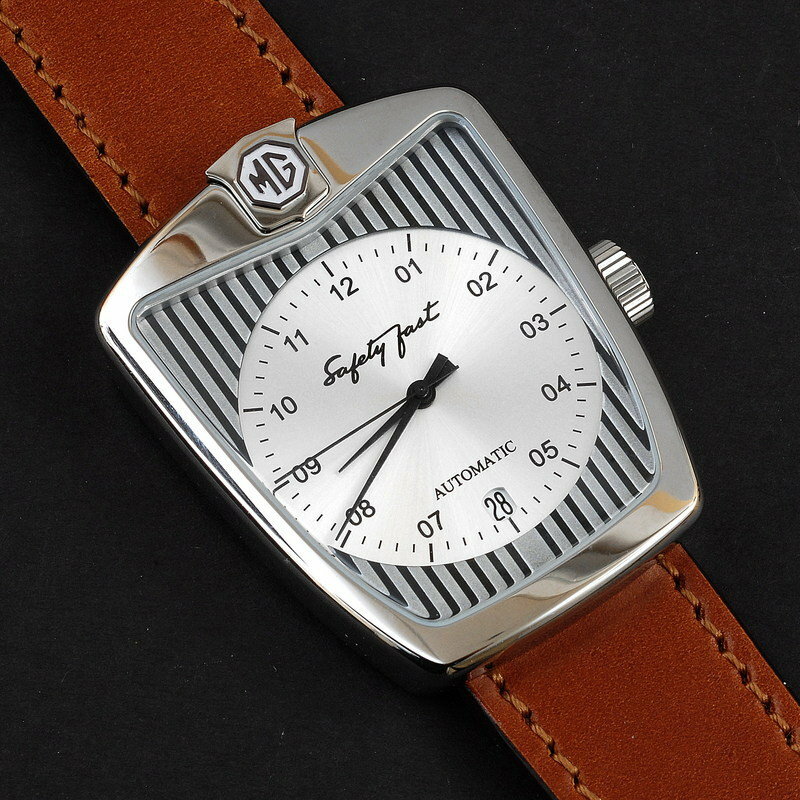 While MG Cars is struggling to stay on the market, its classic models have been used as an inspiration for superb limited-edition watches developed by MeisterSinger. They have used the distinctive shape and structure of a 1950s MG TD radiator grille and developed a pretty expensive and awesome watch. The watch features a stainless-steel case hiding top-quality Swiss movements and dials protected by hardened mineral glass. Each unit will be offered with Cordovan straps crafted from smooth horse leather and offered in three different face-and-strap combinations appropriately named: "Abingdon", "Cecil Kimber" and "Cream Cracker.” The names celebrate the MG factory, the company’s founder, and the most famous of the Works MGs, respectively. If you are interested, then you should know the new MG watch by MeisterSinger is priced at £1405 (around $2,200 at the current exchange rates). Only 100 units a year will be produced.